“The Fine Line,” created by Teton County Search and Rescue, aims to educate, inform and entertain listeners about outdoor mishaps. 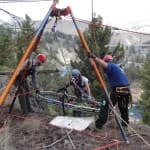 The Yellowstone Park Foundation has announced a $12,500 grant for training park staff in technical ropes rescue. The park has seen increasing need for such skills as visitation rises. Backcountry Zero is a new initiative in Teton County meant to reduce the number of fatalities in the mountains. 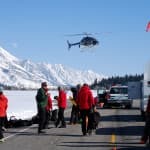 Accident data reveals males much more likely to die while in backcountry, while avalanches and climbing unroped lead in causes of death.